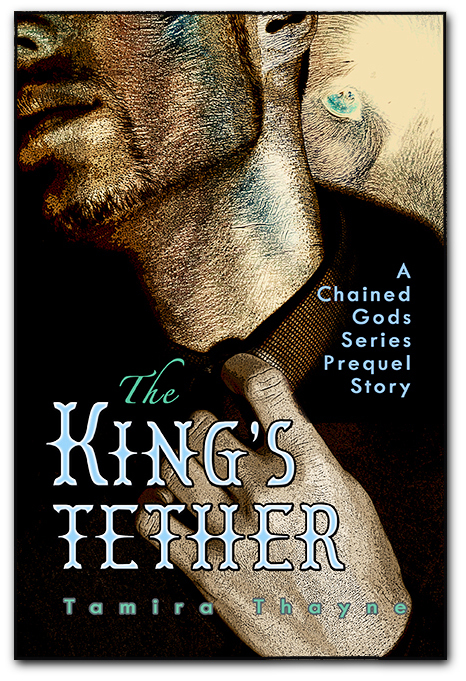 Newly Released from Who Chains You Books and author Laura Koerber, The Listener’s Tale: Book One of the “Our Side” Collection. Anna didn’t even know she had an aunt. Aunt Moira had appeared the day after Anna’s parents died in a car crash: a tall grey figure through the screen door, silhouetted against the bright sun. 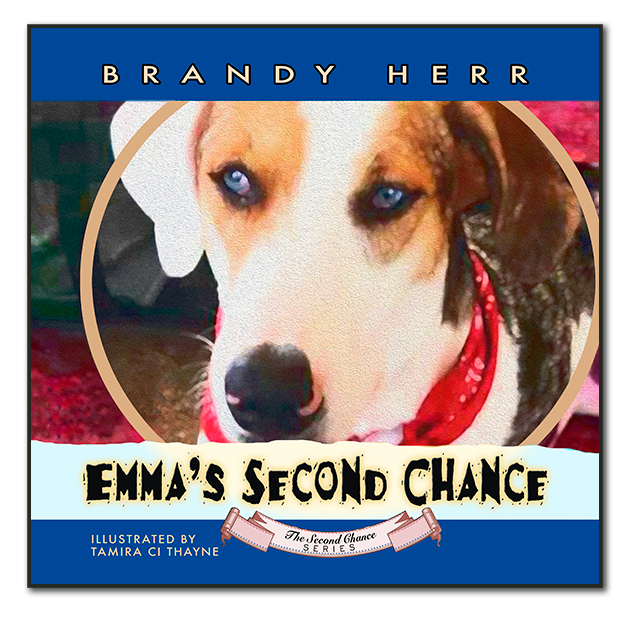 The neighbors welcomed her—they were relieved to get Anna off their hands and into the custody of a relative. 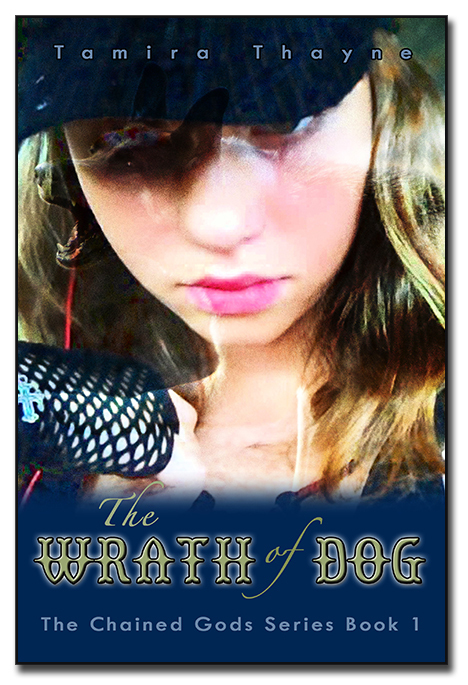 But Anna hadn’t warmed to her aunt or her pug, whose eyes eerily tracked Anna’s every move. Something wasn’t right; her investigation leads to a world she’s never seen and even more relatives who live in a quirky village—a village where singers dance in the sky, the elders are hundreds of years old, and everyone has access to magic. At first bemused, then charmed, Annie settles in to live with her new-found (and vegetarian) relations—and unravel the mystery of who is trying to kill her. 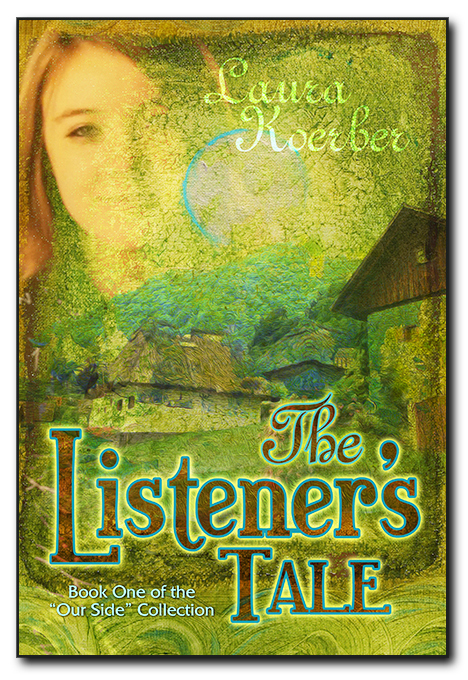 The Listener’s Tale is a charming fantasy for young teen readers or the young at heart. Laura Koerber is an artist who lives on an island with her husband and her two dogs. She has always entertained herself by telling herself stories. As a child, she used to like going to bed because she could lie awake under the covers and run movies in her head. Later, as an adult, she enjoyed long distance driving for the opportunity to spend hours writing novels in her imagination. Now Laura divides her retirement time between dog rescue, care for disabled people, political activism, and yes, she still tells herself stories while she is driving. 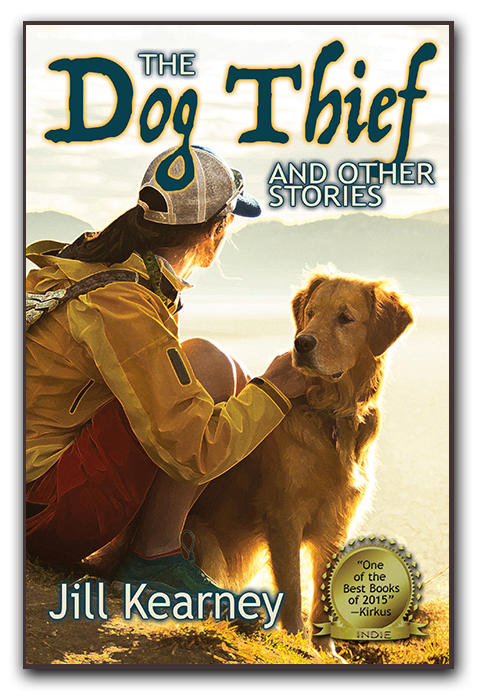 Her first book, The Dog Thief and Other Stories (under pen name Jill Kearney), was listed by Kirkus Review as one of the One Hundred Best Books of 2015. Depression is rampant in 21-st century America, and especially pervasive in the animal rescue and activist movements due to constant exposure to pain and suffering on the part of our animal friends. We are often told that depression is anger turned inward, yet in the world of animal activism and rescue, depression more adequately equates to anger meets helplessness. Not to overstate the situation, but there is an overwhelming amount of NEED in the animal rescue and activism world. Even if you were financially-set and resource-laden, one person still could not stem the flow of animals that need places to go and daily help. So how does one animal-loving human—without significant financial resources—feel when accosted daily with both the overwhelming need AND anger at those who abuse animals or allow abusers to get away with it? Unfortunately, wallowing in depression doesn’t get us anywhere—and doesn’t get the animals anywhere—so it’s in our best interest to find a way to relieve both our suffering and theirs without breaking the bank or giving up our lives. Below are four steps you can take daily if you’re one of the folks who suffer from depression due to the status of animals in our society. Give yourself even an hour a day with these methods and I strongly believe within a month you will be moving in a positive direction. I’m a big fan of Tapping (Emotional Freedom Technique), because I can do it on my own, I don’t have to work with a therapist or a facilitator, and IT WORKS for me. In fact, according to the founder of tapping, Gary Craig, there are few people he hasn’t been able to help with this method. Luckily for you (and me! ), he offers a completely free course on tapping on his website at http://www.emofree.com. Tapping works with the body’s meridians to release the pain we hold inside. Given that most of us like to pretend that the negative doesn’t exist, we tend to deny the pain and so our body continues to hold onto it, mostly on a subconscious level and within our cells. But tapping daily can bring relief from this pain and even cruise you past childhood emotional injuries that have been holding you back forever. Try it! You can do it while you’re walking the dog, driving to work, even watching TV if you’re feeling down but too desperate to make a big effort. Hopefully after tapping you’re (at least temporarily) an emotional blank slate. Now is the moment to bring the positive back into your life and heart. Think of a time when you were REALLY HAPPY. During that one special moment you—without even realizing it— held your heart wide open and ready to receive good things. This is a vulnerable place for us to be, and so we often shut that valve off in order to protect ourselves. But the more and the longer we can keep it open, the better chance we have of bringing ourselves to a more positive place. So picture that moment, open your heart, and try to hold it open and envision yourself receiving positive events in your life for at least 60 seconds. Smile! Remember, you ARE worthy of good things, just like every other human on the planet. If you were ready and willing to go for your BIG DREAM, what would that look like? Would you build an animal rescue? An animal activist organization? Would you volunteer and become more involved in the day to day world of work for the animals? Take out your BIG DREAM. Shine it up. And sit it beside your computer. Because now you have a goal, something to work toward, and you’re not going to let depression stop you. I remember when I started Dogs Deserve Better in 2002. I knew I wanted to take a stand, but I was TERRIFIED. I promised myself I’d take five steps toward my goal before the end of the year. But guess what? Once I got going, I was taking a step toward it every day. You can do that too. Take one teeny tiny step toward your goal each and every day. If that means you make one phone call? Good. Do one google search on something you’re trying to understand? Great. Feeling depressed that day and afraid of failing? Do it anyway. Make yourself take the one step. You’ll be amazed at how you’ll feel afterward! And soon you’ll be adding up all those steps to making a REAL DIFFERENCE for the animals. P.S. I’m in no way making light of depression, and am well-aware it’s a continual struggle for those who suffer with it. I grew up with a depressed parent, and always thought it was ‘normal’—which meant it became part of my life, too. I offer you these tips if you want to crawl out of the abyss of that kind of pain to make a difference. Sometimes having something to focus on outside of ourselves is the biggest boon we can receive. I wish you all the very best that life has to offer, and the strength to continue your path toward wellness. Tamira Thayne is the founder of Who Chains You Books and Spiritual Mentoring, and the pioneer of the anti-chaining movement in America. She spent 13 years on the front lines of chained-dog activism and rescue as founder and CEO of Dogs Deserve Better. 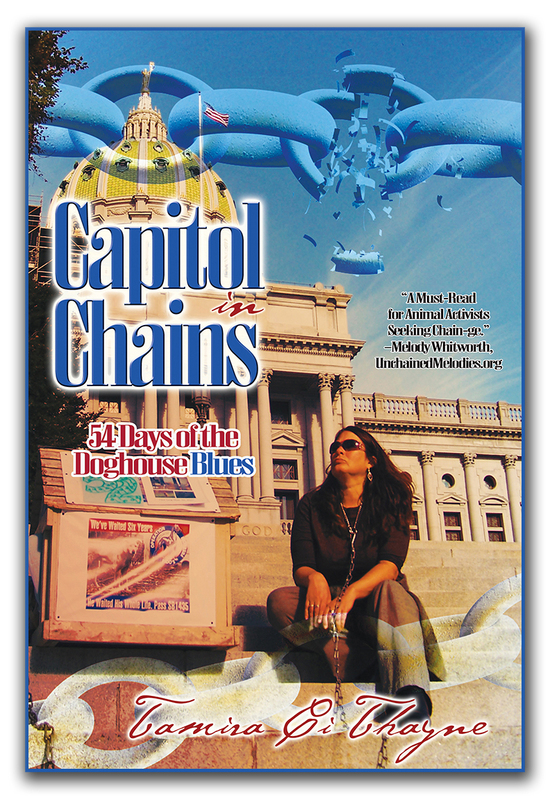 She is the author of Foster Doggie Insanity: Tips and Tales to Keep your Kool as a Doggie Foster Parent, and Capitol in Chains: 54 Days of the Doghouse Blues. To book a one-on-one session with Ms. Thayne, visit the website at http://www.whochainsyou.com/activism.html. 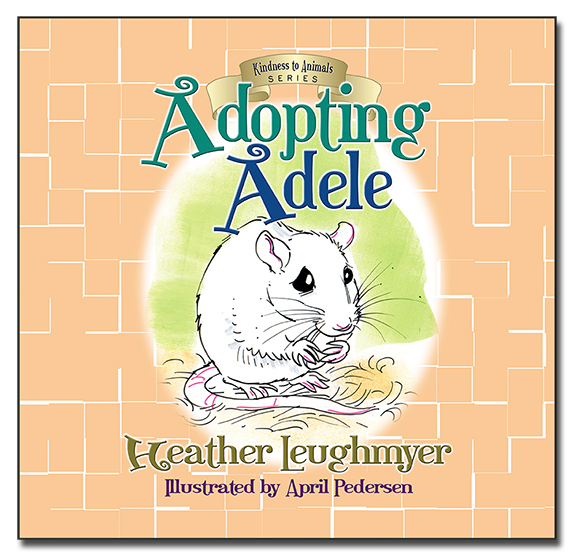 Adele, a sweet and oft-overlooked rattie companion, is charming readers and librarians alike! The reviews are coming in for Adopting Adele, and fans are raving about a book they have declared “long overdue”! We’re so excited for Adele and other rats like her who are oft-overlooked when it comes time for adoption. 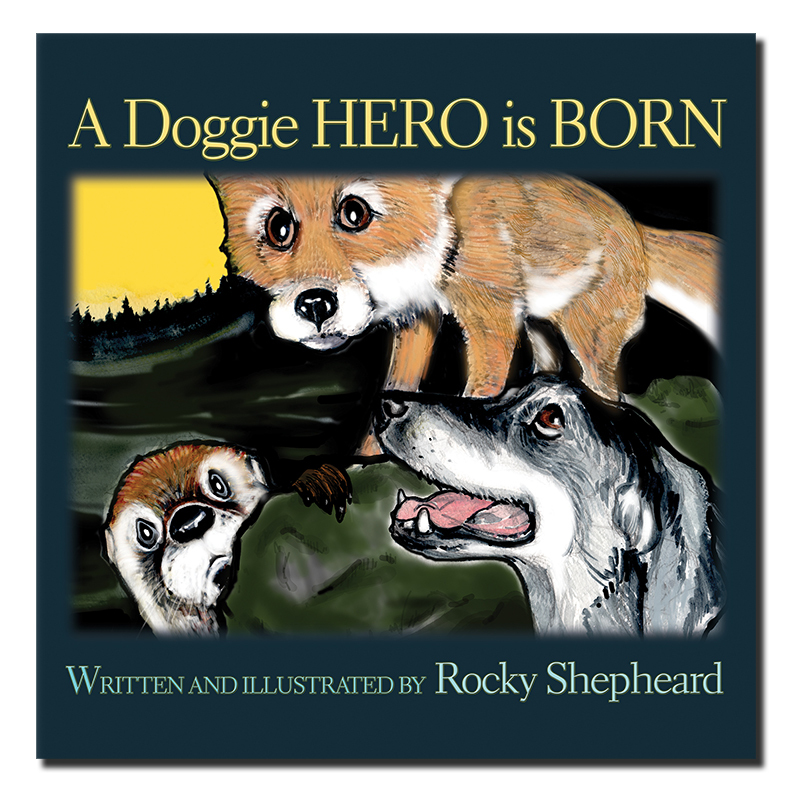 A big thanks to author Heather Leughmyer and illustrator April Pedersen for raising awareness on their behalf. Yet they couldn’t be further from the truth. Written by author Heather Leughmyer in a beautifully singsong prose, this book is sure to change hearts and minds about this oft-overlooked companion. 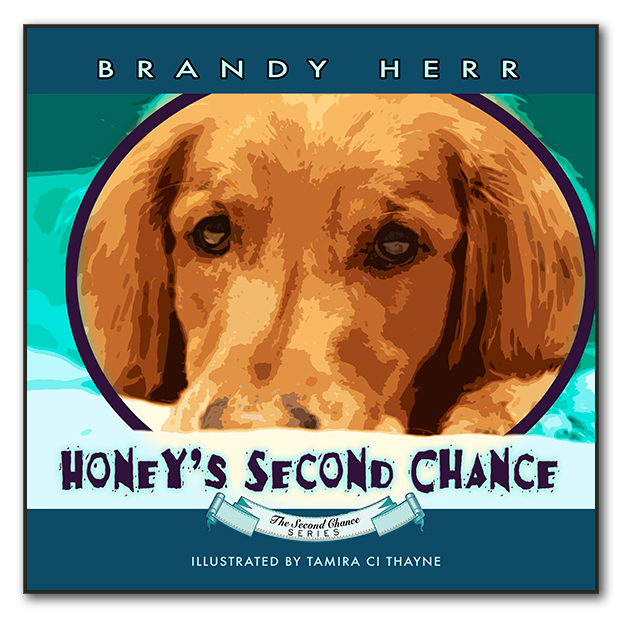 The verse is accompanied by 13 full-color illustrations by artist April Pedersen, and includes a children’s activity section at the back. From the book: In a shelter Adele lingered in a cage made of glass, where she patiently waited as people walked past. With delicate ears she listened each day, to the mewing of kittens and puppies at play. Curiously twitching her pretty pink nose, she sat groomed to perfection from whiskers to toes. Her tiny eyes glistened like two glossy stones, yet still, sweet Adele would remain all alone. Dogs were adopted, people cooed over cats. Even hamsters found homes; why not a nice rat? 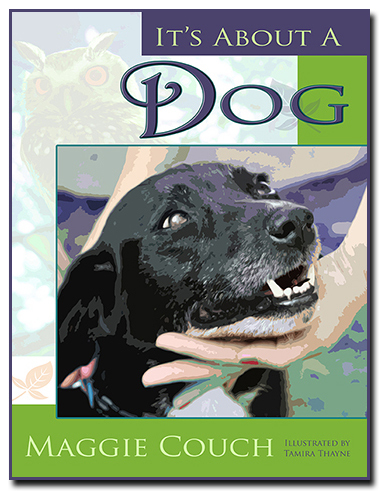 Perfect for childhood reading for ages 4 and up, Adopting Adele promotes a happier world for all our animal friends. Who Chains You Books is dedicated to helping our planet’s companions and wildlife and all who advocate on their behalf. “In a shelter Adele lingered in a cage made of glass, where she patiently waited as people walked past. With delicate ears she listened each day, to the mewing of kittens and puppies at play. Curiously twitching her pretty pink nose, she sat groomed to perfection from whiskers to toes. Her tiny eyes glistened like two glossy stones, yet still, sweet Adele would remain all alone. 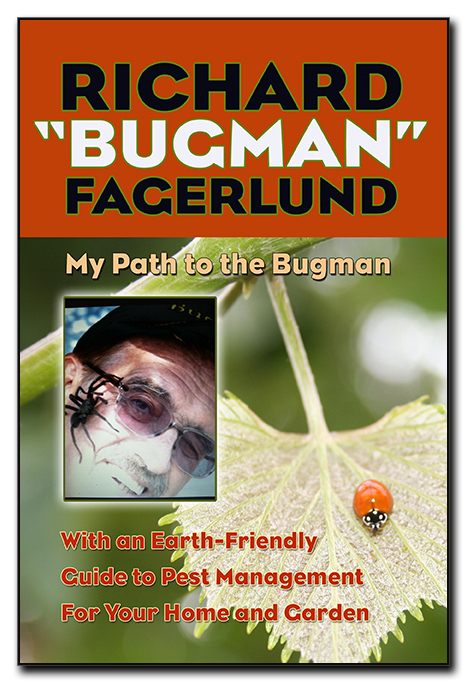 Available in Paperback from Amazon and third-party vendors, as well as Kindle and Kindle Unlimited. 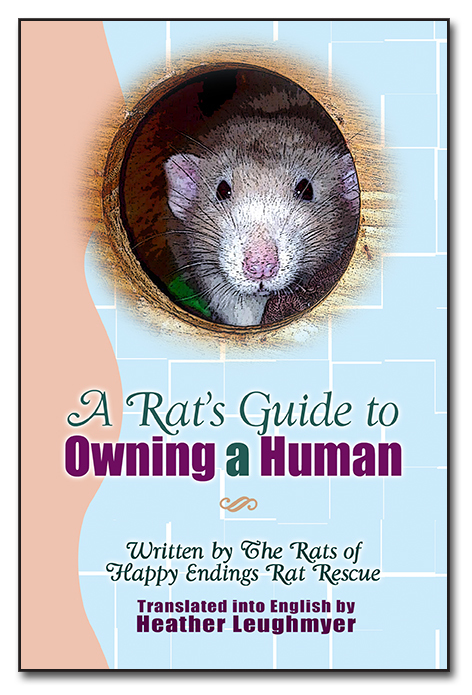 Do you run a rat rescue? Contact us at info@whochainsyou.com about deep discounts and wholesale pricing, allowing you to educate the public about rats and bring in some much-needed funds for your rescue! Heather Leughmyer graduated from Indiana-Purdue University with a B.A. in English Writing and Linguistics. She is a dedicated vegan, animal rights activist and animal rescuer. 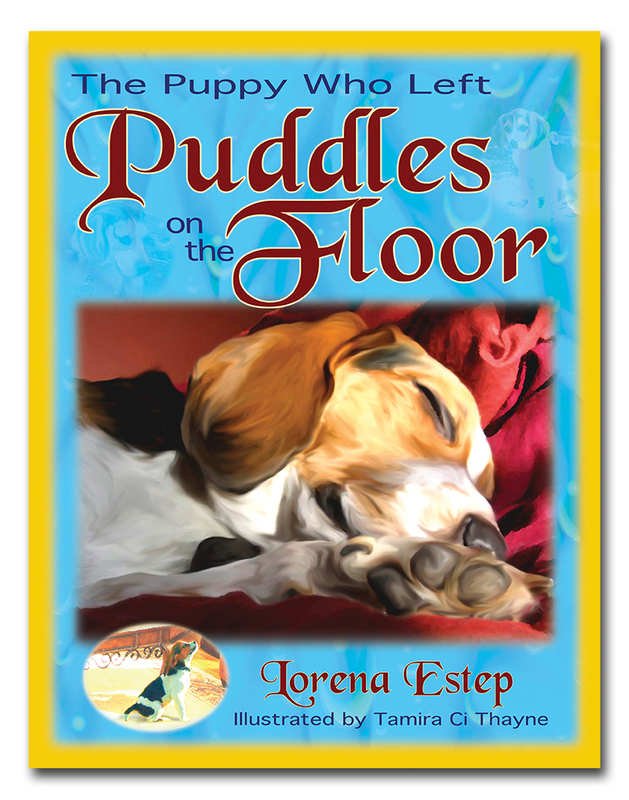 Writing has been a passion of hers for as long as she has advocated for animals. By telling their stories and illustrating their pain she hopes to touch a few hearts and change a few minds with her words. 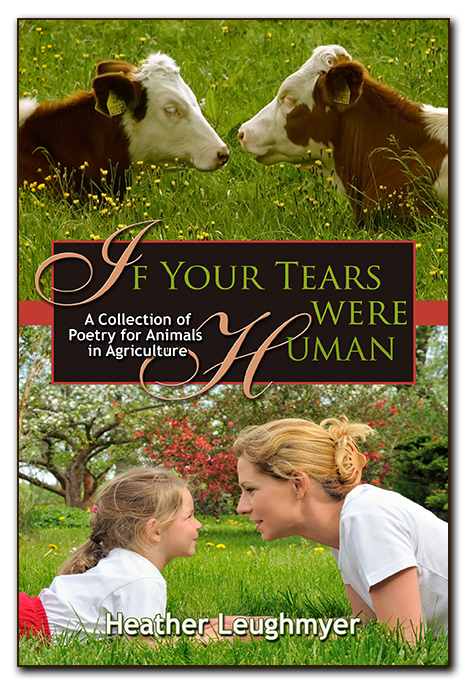 She is the author of If Your Tears Were Human, also from Who Chains You Books. She lives in Columbia City, Indiana, with her husband, daughter, and several animal companions. Our whimsical artist, April Pedersen, is a freelancer based in Reno, Nevada. She is partial to frogs, geocaching, science fiction, video poker, and chess. Visit www.petfinder.com for a list of adoptable pets in your area. Love this book? 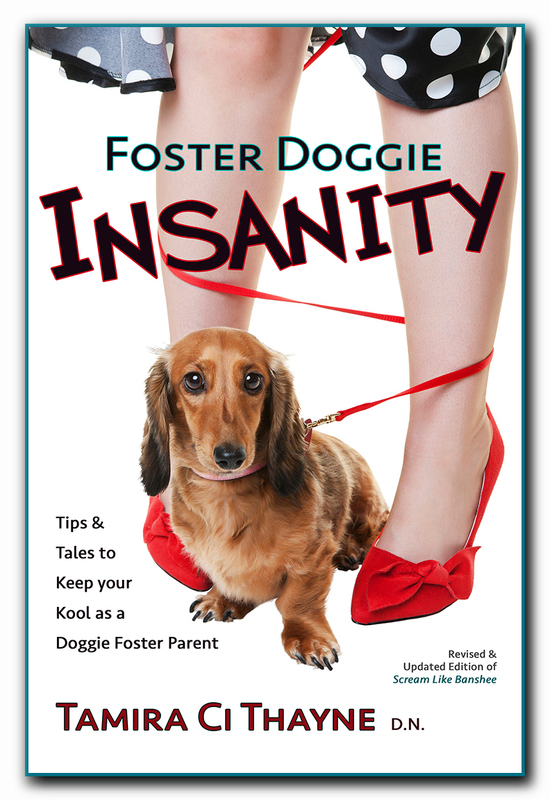 Please consider giving Adopting Adele a review on Amazon and other venues. Your reviews mean so much to our authors. Thank you! Are you an animal activist or rescuer who’s been repeatedly told you’re ‘too sensitive’ for caring about animals? You are not alone. One of the Universe’s little ironies is that the most sensitive among us are the ones tasked with doing one of the most difficult jobs…protecting the animals. Yet this very same sensitivity—the gift of the ability to empathize, to put ourselves into the shoes, hooves, or paws of another being—puts us at greater risk for pain, depression, and immense suffering, whether we are following through with our chosen mission or not. There are four hurdles to be overcome in working for the animals which can prove especially challenging to the sensitive soul. Sensitive folks believe they’ve come to this planet to make a difference. When that difference is scary, such as advocating for animals left out on chains, animals that end up on peoples’ plates, or animals that are used for the amusement of humans, the fear—real and imagined—is amped up accordingly. There exists the possibility that when one stands in the face of violence against animals, jail, physical and emotional harm, or even death can result. To the sensitive soul these confrontations with amoral people loom large and menacing. The probability of failure is high, and even when there are successes to tide you over, the greater likelihood is that there remains a continued chance of defeat in each mission you undertake. Those who are sensitive take these failures more personally, believing that it’s all their fault—and just maybe they are not good people—if they can’t succeed. For those of us who love animals, the thought of eating them, chaining them, caging them for our amusement, and the host of other uncurbed cruelties that abound out in the ‘real’ world cause us intense emotional discomfort. We feel this pain on behalf of the tortured souls—as if we are experiencing it AS them—AND we feel this pain on behalf of our own tormented spirits, forced to witness the cruelty and feeling helpless to stop it. Overwhelming anguish leads to depression, avoidance of the reality we face, and—worst case scenario—suicide. When we are in such intense agony, it is very hard to act on behalf of the animals. All we can focus on is our own suffering and how to ameliorate it. Sensitive people by and large don’t fend off criticism as well as their neighbors and co-workers. Because they are so easily-affected by the putdowns of others, they struggle to place the far-flung words into perspective, to realize those who are directing abuse at them are really showing themselves for what they are: bullies. To the overwhelmed thought pattern of the empath, the putdowns becomes more proof that they must somehow be defective. They have a harder time standing up to authorities—even though their moral compass is strong—because the desire to avoid conflict and an inherent kindheartedness is a large part of who they are. As such they are often mistaken for weak by those who bulldoze all those standing in their path. Once a sensitive soul is down, it becomes all too tempting to roll over and play dead. They bury themselves in depression, alcohol, pills, food, TV-watching, internet surfing, or other activities that are self-defeating and don’t forward the mission of advocating for the animals. Everyone on the front lines needs a break from time to time. Animal advocacy is a very difficult and soul-draining process, especially for those who are empathetic enough to fight on behalf of the animals. There also comes a time in every activist or rescuer’s career when her front line days are over, she’s served her time, and she can then be of service to the cause as a mentor to others. Ascertaining at which point on the spectrum the sensitive soul currently sits is an ongoing process, but overcoming a sense of defeat enough to stand and fight another day is a highly-commendable—and possible—goal. Exactly How Does the Sensitive Soul Overcome These and Other Obstacles to Animal Activism? Sometimes the most sensitive among us are surprisingly inept at inner reflection and strength-building. Most have suffered intense childhood wounding by their families of origin, and carry this pain into adulthood, mistakenly assuming they are stuck dragging it after them for life. But our very ability to look deep, to release old, stuck issues, can make the difference in overcoming the obstacles and creating a new reality for ourselves. Often a childhood fraught with animal abuse brings about the very desire to make a difference for the animals as adults, and letting go of the pain and blame from childhood will go a long way toward giving us the strength to stand tall for those we are now tasked with protecting. There are a myriad of ways to let go, and there is no wrong way as long as it works for you. Just start exploring the infinite possibilities. I recommend reading “The Four Agreements” if you haven’t already done so, and take its lessons to heart. The agreements are simple yet profound, and the book is short and perfect for multiple readings—as you’ll find it easy to forget what you’ve learned and fall back into childhood patterns. I’ve become a fan of and use tapping, aka EFT (Emotional Freedom Technique), for myself and my clients, as a solid means by which to free negative emotions and build a strong inner core through drawing the positive into your life. To teach yourself tapping (one of the reasons I love it is that you can totally teach it to yourself), visit the founder’s website and go through the lessons. You won’t regret it. http://www.emofree.com. Below is a video to get the sensitive souls among us started in overcoming obstacles today. Tap along and you’ll start releasing a little of that pain and negativity within the first 15 minutes!